The protection of B.C. 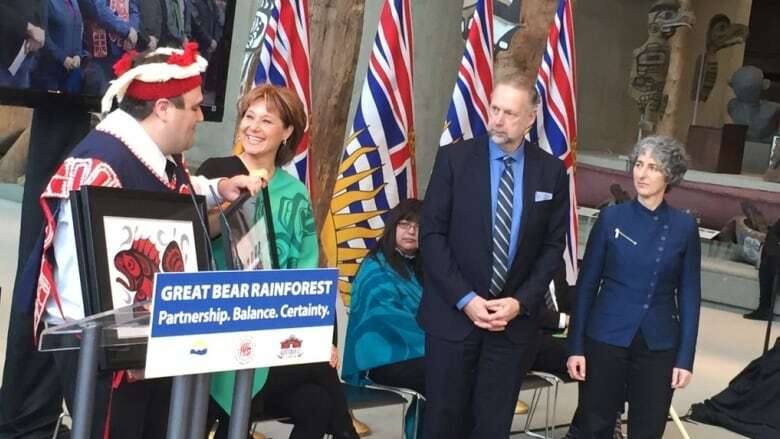 's Great Bear Rainforest is now assured, after a decade of complex negotiations between the province, First Nations and industry. 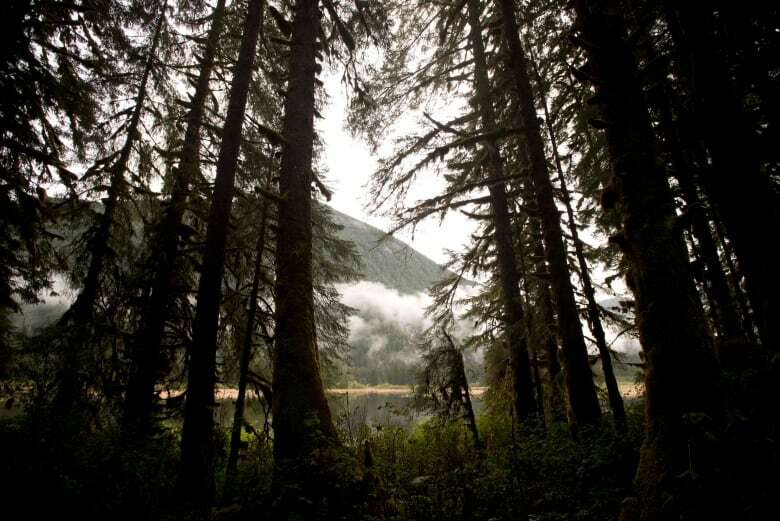 Under terms of the agreement announced Monday morning by Premier Christy Clark, 85 per cent (3.1 million hectares) of the forested area of the northern wilderness will be completely — and permanently — protected from industrial logging. "We are stewards of this magnificent land, and today we celebrate what hard work, tenacity, and a strength of purpose will allow us to achieve if we decide to work together," said Clark. Commercial logging will be permitted on the remaining 550,000 hectares, but only under conditions described as the most stringent in North America. "This is a gift to the world," Richard Brooks, the forest campaign co-ordinator for Greenpeace Canada, told CBC News. "An area larger than Vancouver Island will be conserved and set aside from forestry well into the future." 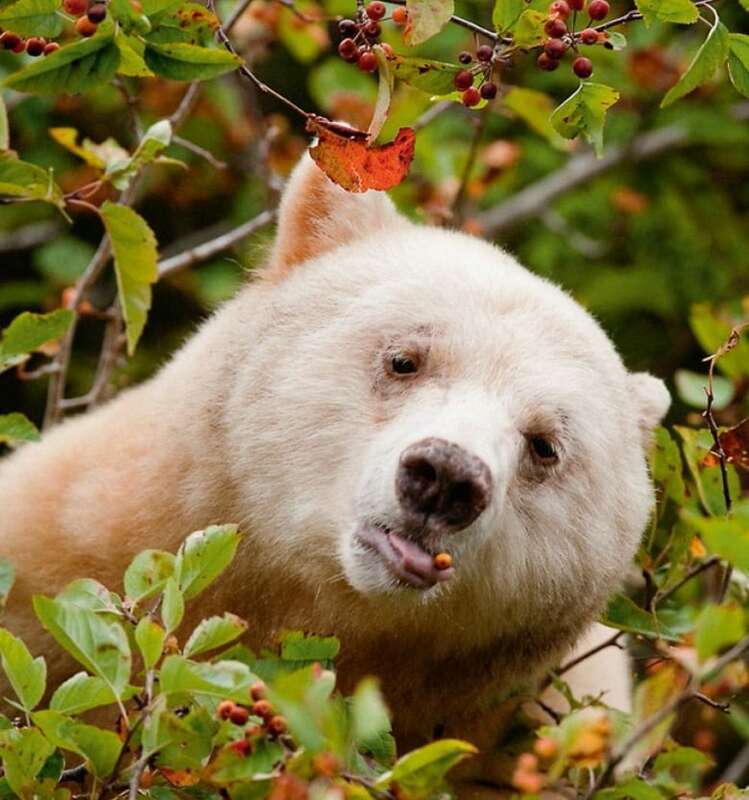 The Great Bear Rainforest stretches from B.C. 's Discovery Islands, north to Alaska's Tongass Rainforest. 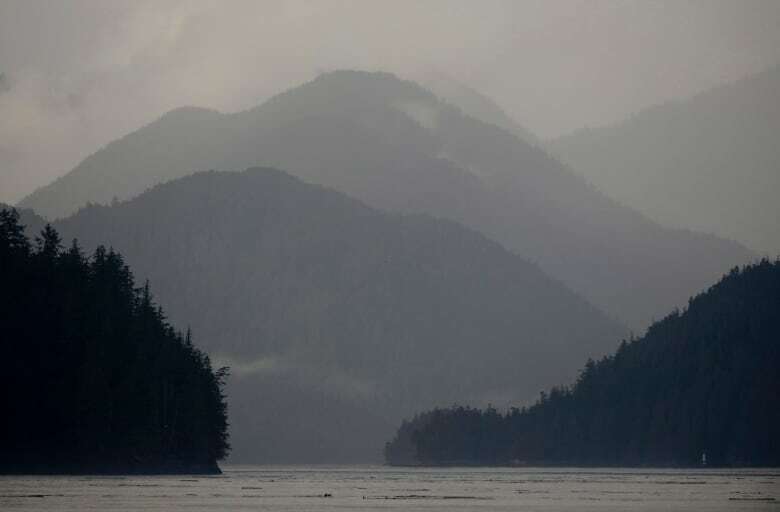 Along with Haida Gwaii, parts of which are protected under other agreements, it represents the largest tracts of intact temperate rainforest on Earth. It is home to numerous species of plant and animals, including old growth trees, orcas, grizzlies and spirit bears. The agreement to protect the region was first announced 10 years ago, following a period of deep conflict between First Nations and timber firms over old growth logging that made headlines worldwide, and led to commercial pressure to avoid products sourced in the area. A coalition between forestry companies and environmental groups was formed in 2000 in an attempt to resolve the conflict, with both logging and boycott campaigns suspended voluntarily in 2001. At the same time, parallel talks were taking place between the province and indigenous leaders. An agreement between all parties to protect the forest was announced in 2006, leading to a decade of discussions and negotiations before that agreement could be fulfilled. Brooks says the result is a model for similar land use disputes and conflicts, not just in B.C. and Canada, but across the world, preserving, as it does, not just the environment, but also the cultural integrity of those communities who call the forest home. The Great Bear Rainforest overlaps with the territories of more than 20 separate First Nations, all of whom were involved in negotiations. "It's a testament to the hard work they have done, and the perseverance they have put into these agreements," Brooks said. The attitude of the different provincial governments in place throughout the negotiations has also been groundbreaking, he noted. "It's quite unique... the provincial governments have negotiated and agreed with First Nations governments as governments." "It should give hope to other areas that are currently in conflict, that those conflicts can move towards collaboration and eventually to conservation and economic prosperity and well-being for communities."